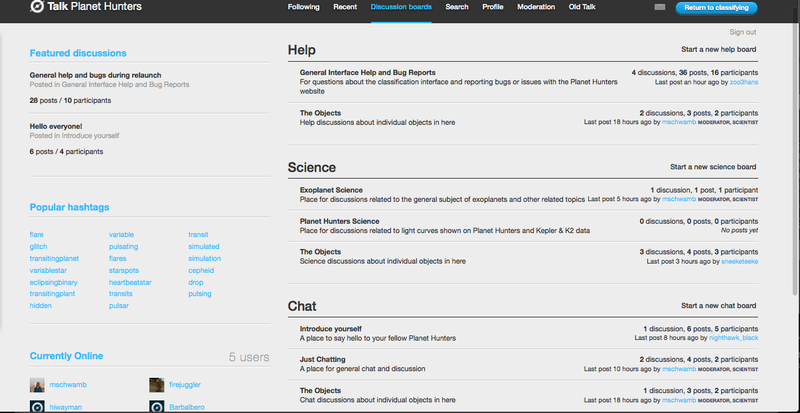 As part of the new Planet Hunters classification interface, the Summary page (see below) suggests some hashtags you could use to label the light curves you’re seeing in Talk and in the Talk comment area on the Summary page. A few people on Talk have asked for a full list, so here’s a handy list of the first set of hashtags suggested by the science team at launch of the new Planet Hunters. Classification summary page. A suggested hashtag to be on the eye out for is suggested in the left in the red box. 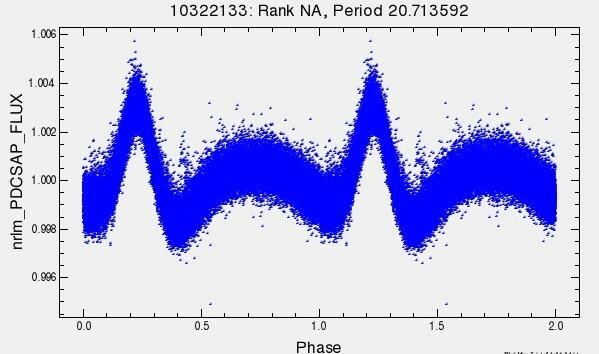 Pulsating star with periods >1 day. Cataclysmic variable – Cataclysmic variables (cv’s) are a class of stars where the sudden ignition of material on the surface of a white dwarf results in gigantic increase in brightness for several days before returning to natural quiescent state. 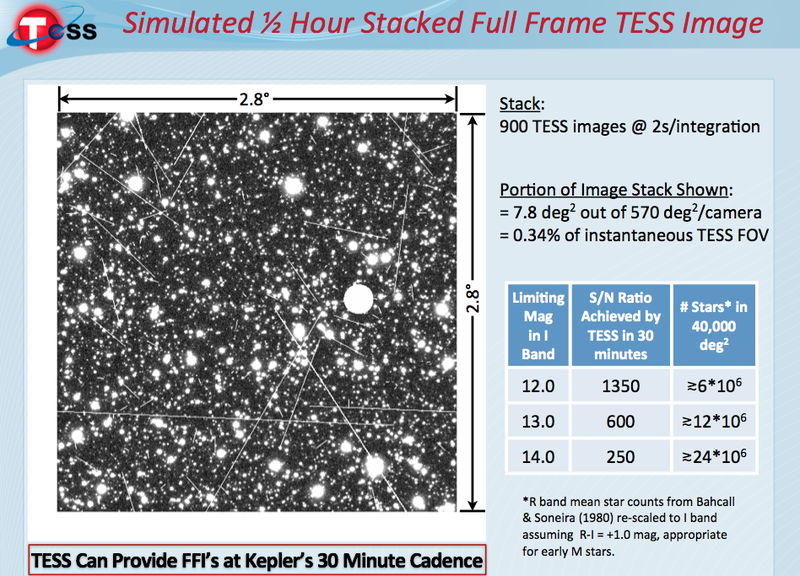 Variable star – Change in brightness on timescales greater than 1 day. May be periodic or non-periodic. 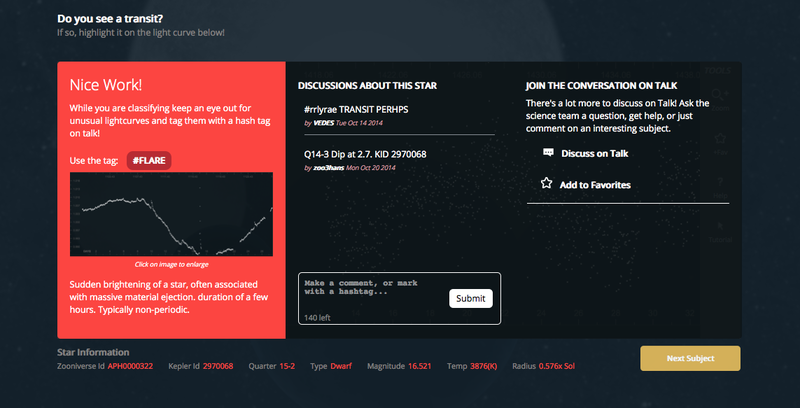 Heartbeat star – Two stars get very close together but avoid collision. Their structure changes, and the light curve exhibits a shape like a cadiogram. glitch – Occasional malfunction of data reduction pipeline. Stellar flare – Sudden brightening of a star, often associated with massive material ejection. duration of a few hours. Typically non-periodic. 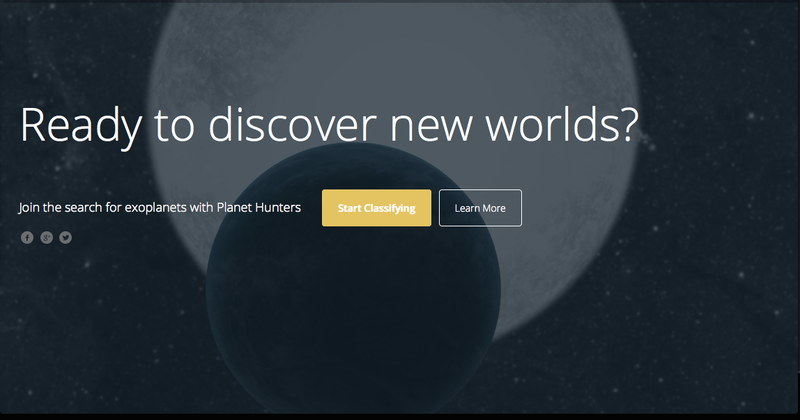 There are some new challenges to overcome in order to get the K2 data ready, but we’re working on making it possible in the near future to view K2 data Thanks to funding from JPL PlanetQuest, we’ve been able to rebuild the Planet Hunters website to make Planet Hunters 2.0. 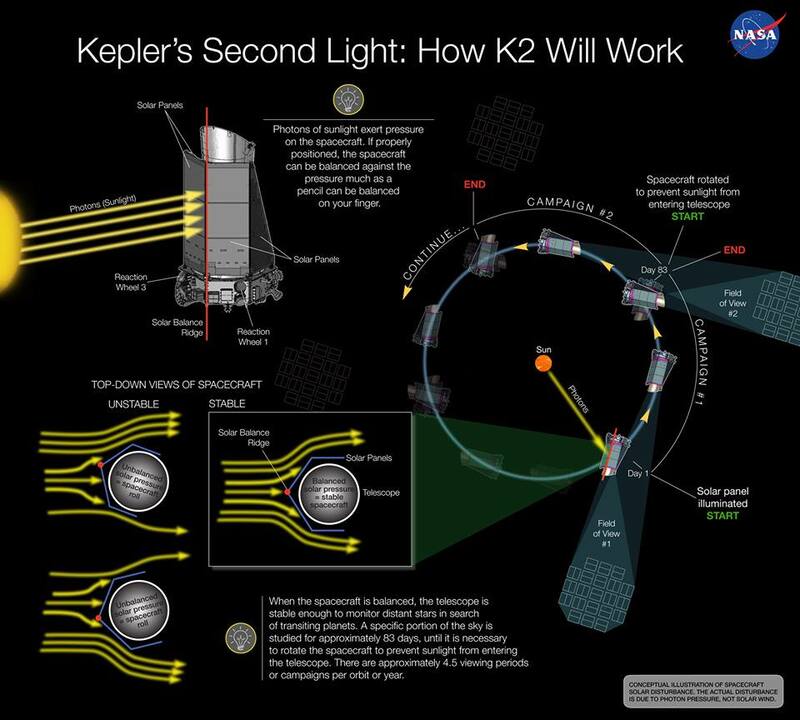 These past many months the Zooniverse development team and the science team have been working to make Planet Hunters 2 easier to use as well as faster and more efficient for searching for exoplanet transits in Kepler field data and especially with the K2 mission in mind. 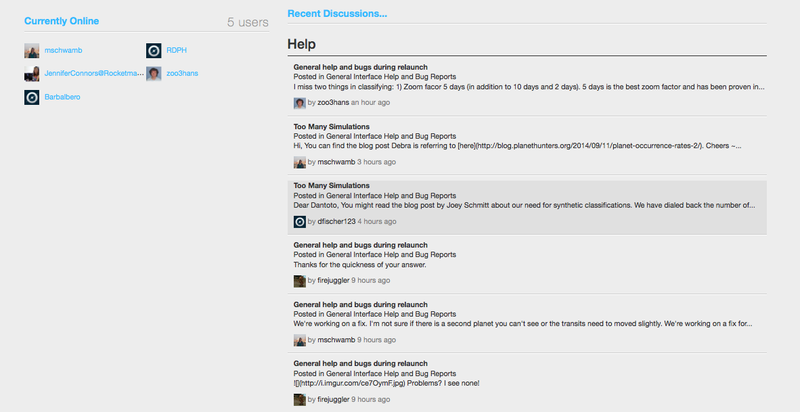 We’ve incorporated much of the feedback we’ve gotten from you over the past 3 years into the rebuild. 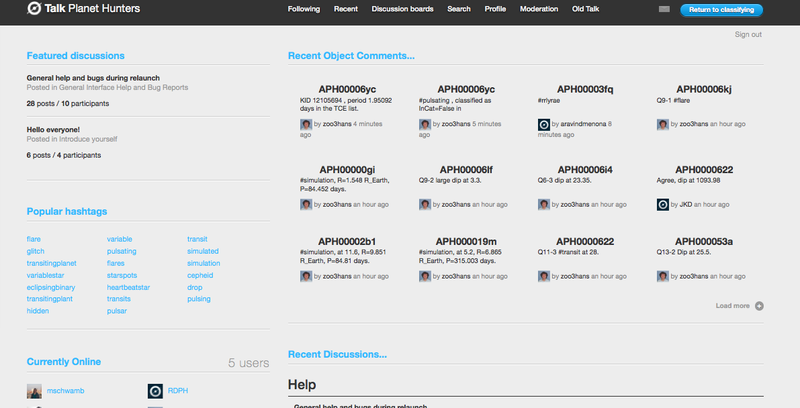 The site is not quite ready from prime time, but will be very soon. 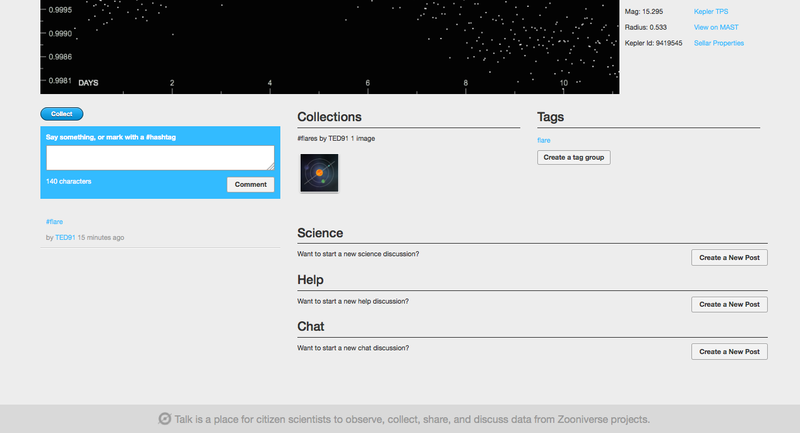 Stay tuned to this space for more updates on Planet Hunters 2 and the K2 data. In the meantime if you have questions about the rebuild we’ll try to answer them on Talk here. With next year being the 20th anniversary of the discovery of the first planet orbiting a main-sequence star outside our Solar System, it’s exciting to think that the official naming of extrasolar planets (exoplanets) and their host stars is becoming a reality. The International Astronomical Union’s (IAU) Exoplanets for the Public Working Group, which includes astronomers Alain Lecavelier des Etangs, Chris Lintott (Zooniverse founder and PI ), Geoff Marcy, Andrew Cameron, Eric Mamajek, and Didier Queloz, have come up with a process approved by the IAU that will be implemented to allow the public to join in the naming of these distant worlds. 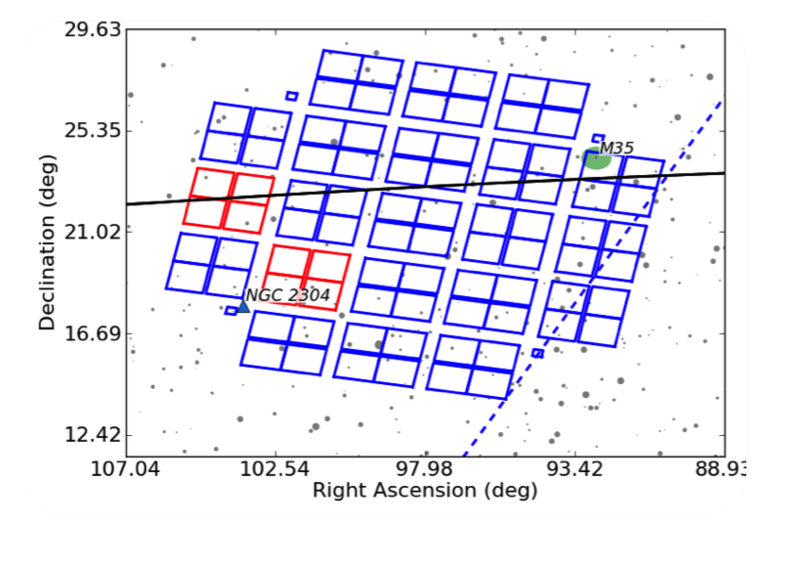 The first set of 20-30 exoplanets and their host stars will be formally bestowed names in July 2015, just months before the October anniversary of 51 Pegasi b’s discovery. Back in July the IAU announced the naming process and how the public will take center stage. Here’s a brief overview of what will happen over the next year. In September astronomy clubs and astronomy-related non-profit organizations will be able to register to take part in the naming process. These groups in October-December 2014 will vote to pick the first set of 20-30 exoplanets to be named from a list of 305 planets discovered before December 31, 2008. Then in December 2014, these clubs, groups, and organizations will submit naming proposals for the planetary systems (both the planets in them and the host star). Valid proposals will then be subject to a public vote in March of 2015. Anyone can vote at that point, and the most popular name will be bestowed as the formal name during the IAU General Assembly meeting in August 2015 in Honolulu, Hawaii. Like named minor planets in our Solar System, these exoplanets will still keep their license plate identifiers (like GJ 436 b) given at discovery as alternate designators , but their formal names will be the ones from the public vote. One day in the future PH1b and PH2b will likely be offered a similar opportunity to be named. I fully expect when that happens that the Planet Hunters community will submit a proposal for their names. At this point, the Planet Hunters science team is fairly confident that Planet Hunters counts as an online non-profit astronomy organization and will be able to take part in voting on which systems should be named and submitting a naming proposal. Watch this space over the coming months for updates and further news as the IAU naming process gets underway.